Earlier last month the outcome of the tender submitted by the Queensland Parks and Wildlife Service (QPWS) was revealed. 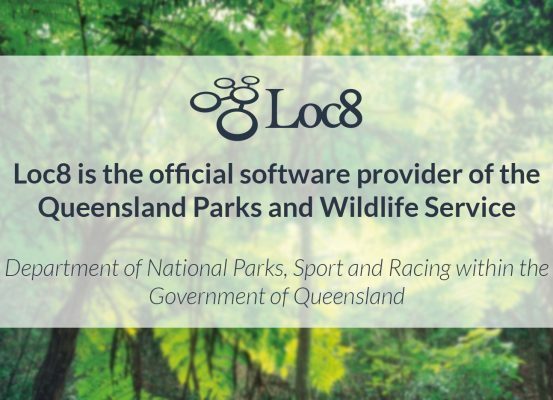 Software provider Loc8 has been decreed most effective solution to manage QPWS’s multiple and complex operations. QPWS is an entity of the Department of National Parks, Sport and Racing within the Government of Queensland. The nature of the project and the prestigious name of this governmental branch attracted quite a significant number of well-known software providers across Australia. With a total of 30 participants and 16 shortlisted, the tender required all the constants to demonstrate their finest ability to respond flawlessly to the QPWS requirements. The result was disclosed just under 3 months after the tender was publicised. QPWS’s purpose is to protect specific wildlife zones within Queensland as well as ensuring biodiversity and make places available for outdoor activities. This mission implies a high level of organisation and maintenance to preserve all the parks and protect the wild animals. With around 700 Rangers, 350 contractors and 25,000 assets to manage and maintain, QPWS needed a solution to centralise all their operations safely and manage both their workforce and their equipment in real time. With a platform like Loc8, QPWS will now be able to manage the life cycles of all their assets, anticipate issues before they occur and streamline the communication and workflows between all their rangers and contractors. Soon after implementation, Loc8 will become a critical asset for QPWS as the platform will enable them to drastically save time, reduce costs and deliver work more effectively. With years of experience in the Field Service and Asset Management sectors, software provider Loc8 offers a platform well suited to governmental and large corporations’ needs. The Loc8 solution has been used for many years by a number of enterprises across various industries. This diversity in customers implies a great ability to comprehend, scale and adapt to all sorts of standards and requirements. It is by this level of flexibility that Loc8 significantly distinguishes itself from its competitors and is recognised as being an outstanding and effective platform.